This is what my mornings look like these days. (Except I leave for work when it is much darker than you see here.) Yep, I’m back to work from maternity leave. 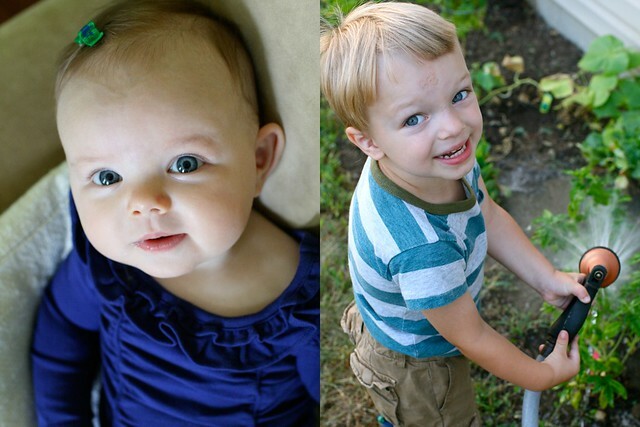 To say leaving my kids every day is difficult would be a huge understatement. But, you do what you gotta do, right? 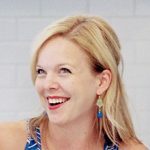 Each morning I shower and dress, prep bottles, make a lunch, do hair and makeup, nurse Caroline, and run out the door. 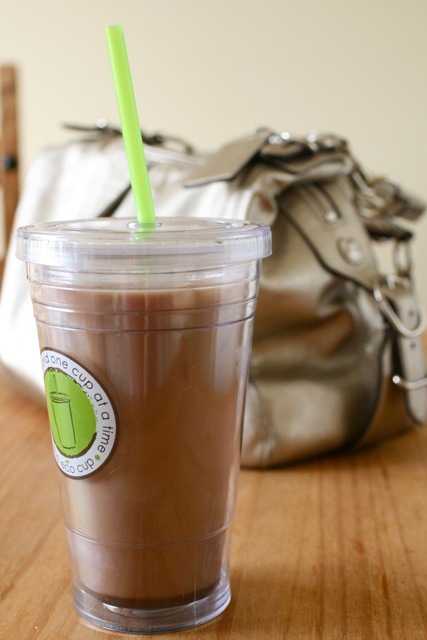 But not before I grab my purse, breast pump (wahoo…) and my new addiction, this DIY iced coffee. I am so excited about this iced coffee for so, so many reasons. First of all, I don’t own a coffee maker, so the fact that this recipe uses a cold brew method requiring only a very large container is fabulous. Second, it takes literally less than five minutes to mix up making it undoubtedly the easiest thing I have ever made. Third, it makes a huge amount of the coffee base so it will last you for a long time. And most importantly, now I can make something at home that I used to only buy from coffee shops. I’m saving money, time, and plastic cups. Since forming this habit, I’ve made my own raspberry, caramel, and chocolate syrups for flavoring, and I plan on trying many more. (Recipes for these are forthcoming, don’t worry!) You could also use sugar to sweeten this but I don’t like the texture of the granules. Simple syrups are a nice, smooth way to sweeten the drink. Now, part of the beauty of making your own iced coffee at home is that you can make it exactly as you prefer. Take some time playing around with the proportions of flavorings, coffee, milk and ice to make it just right. This is most definitely a gateway beverage to making more coffee concoctions at home. I’m so looking forward to further experimenting. And though nothing can really make it easier to leave all this cuteness behind at home, allowing myself this one indulgence makes my mornings ever so slightly less painful. Update: I’ve posted several varieties of homemade syrups to flavor mixed coffee drinks. Enjoy! 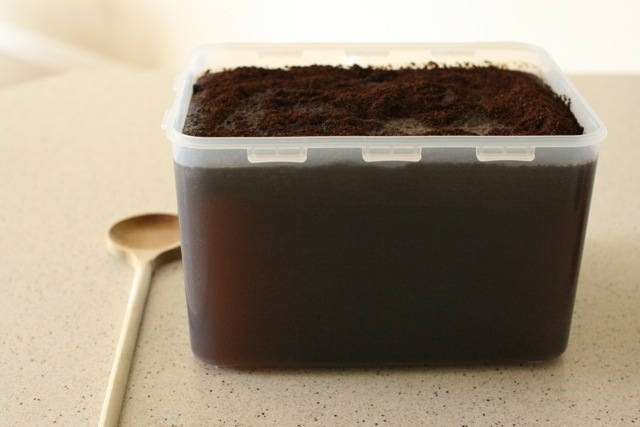 To make the coffee base, combine the ground coffee and cold water in a very large container. Stir well so that all of the coffee grounds are moistened. Cover and let the mixture sit at room temperature for 8 hours or overnight. Line a fine mesh strainer with cheesecloth. Pour the coffee-water mixture through the sieve into pitchers or other storage containers to remove the grounds. Store the coffee base in the refrigerator to keep chilled. To make an iced mocha, pour the syrups into the bottom of a 16-ounce cup. Fill the cup with ice. Pour the chilled coffee base over the ice, filling the cup about three quarters full. Stir the mixture well to blend in the syrups. Fill the cup the rest of the way with milk and stir once more to blend. Sip and enjoy!